THE FOREST is a lush and lively part of nature. It is an ecosystem filled with various creatures, but deep within its trees and shadows lie stories that are untold and creatures that are unseen. These are stories that only tongues can tell and creatures can only imagine to see. These are tales used to frighten children to sleep or simply to entertain them. They are a part of the culture, a vital aspect that keeps the nation’s spirit flourishing; but when conflict arises and conquerors arrive, they are either altered or completely wiped out from existence. 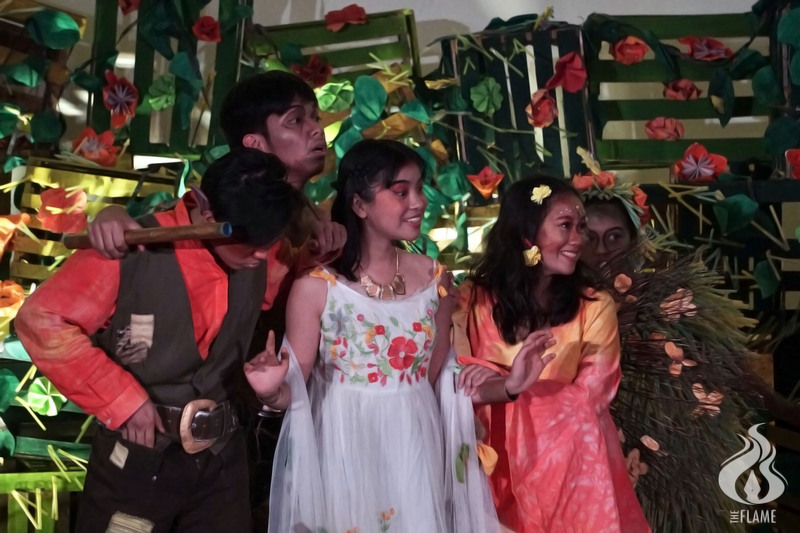 Staged by Artistang Artlets at the Benavides Auditorium during Nov. 26 and 27, Ang Kalungkutan ng Kagubatan was directed by Jonas Garcia and written by Kenshin Alberio. 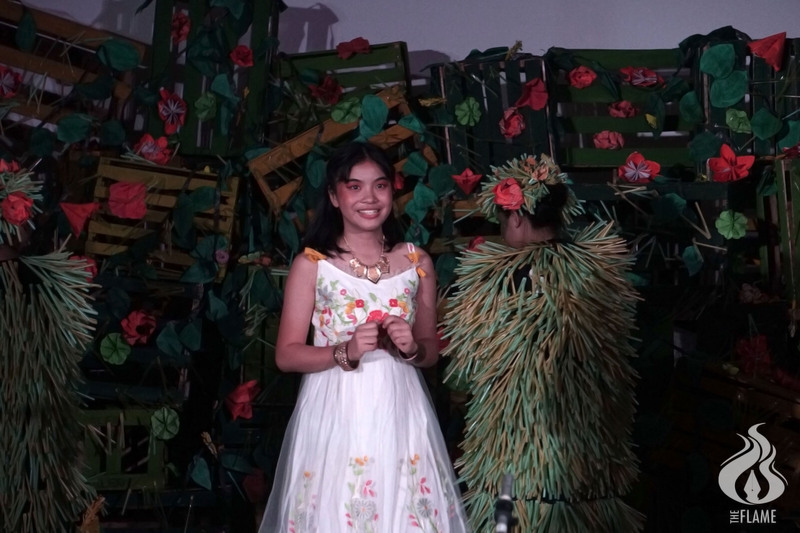 Set during the Spanish occupation, the story centers around four friends that are Filipino mythical creatures. The group consists of Zulon, the hot-tempered dwarf prince, the playful fairy Avisay, the gentle giant of the forest, Dinoo, and the forest’s guardian, Maria. Their peaceful lives take a huge turn when Antonio, a suspicious mortal, suddenly appears to bring chaos to the lives of the forest creatures. Through exemplary lighting and production design, the play is able to deliver the ambiance of a mystic forest. The use of playful light colors during the beginning could be associated with the ignorance and innocence that the group is exhibiting, while the use of red colors signifies the bloody reality of war and how it can steal lives and tear families apart. These elements heighten the delivery of emotions and highlight the importance of fighting not only for the country’s freedom but also for its rich natural resources. What truly left an impression is each actors’ convincing performance and the choice of background music. Each of the tones is played fluidly, giving even more life to the stage. The emotions that each actor tries to express is well-crafted and convinces the audience that these mythical creatures are real.